Global Goals World Cup for the first time in Czechia! Czech : GGWCup poprvé v Česku! Unique football tournament to support UN Sustainable Development Goals that inspires and engages women from all over the world - the Global Goals World Cup for the first time in the Czech Republic. The Global Goals World Cup is the first activist world cup for women. The kick-off event of Global Goals World Cup Prague is going to be held on March 8, 2019, the International Women's Day 2019. You can register your team by March 31, 2019. The tournament will take place on Wenceslas Square on May 29, 2019 with the participation of famous public figures from the world of sports, politics and also foreign guests. What is the goal of the World Cup World Cup in Prague? The Global Goals World Cup (GGWCup) is a game that changes the world. In the football tournament, more than 24 women's teams will play for a better world. Each team fights for one of the 17 UN Sustainable Development Goals (SDGs). SDGs are a collection of 17 global goals set by the United Nations General Assembly in 2015. The Global Goals and Agenda 2030 cover social and economic development issues including poverty, hunger, health, education, global warming, gender equality, water, sanitation, energy, urbanization, environment and social justice. Read more about the Czech SDGs Awards here. In this tournament where sports meet activism you as a player and all the participants needs to be more than just athletes and sport fans. Because if we are to reach the Global Goals by 2030, we need to release all of our creative and innovative energy from this generation, and fight for a specific social issue, such as improving access to education, reducing poverty, removing inequalities, or fighting for reducing waste or consuming plastic. Women who are 18 years old or older. Your team can represent an organization, a company, a country or just yourselves. A Global Goals World Cup team consists of 5 to 8 women. To be able to register, each team needs to pick one of the 17 Global Goals to advocate. We want to give the opportunity to play in GGWCup Prague to all women. We have space for teams that cannot afford it for various reasons. Let us know more about your situation on this mail: tesarek@a-csr.cz, write down why you want to get involved. We'll get back to you soon. A condition of registration is to pay the registration fee. 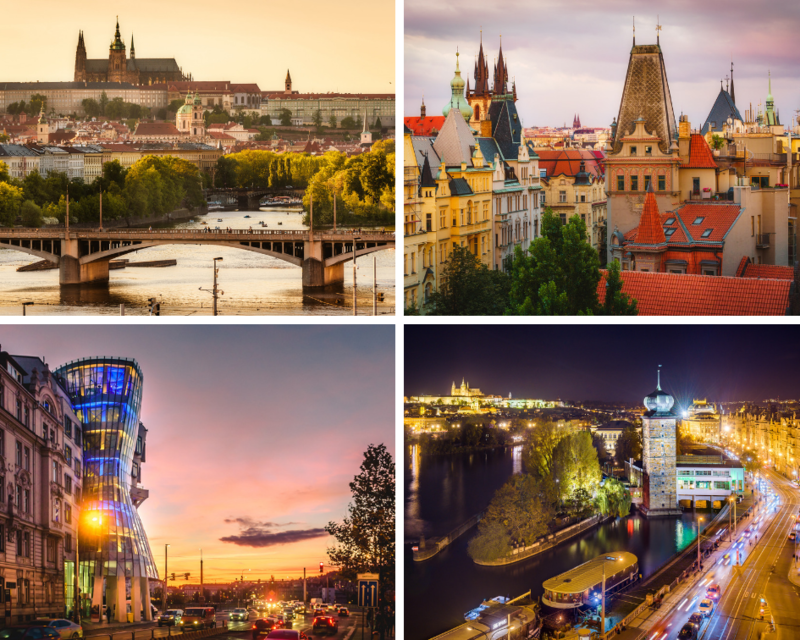 To enter the tournament, you must be ready to play in Prague on the May 29, 2019. All teams cover their own travel and accommodation. The winning team of Global Goals World Cup Prague will be able to represent the Czech Republic at the Global Goals World Cup final tournament in New York in September 2019. Prague, the City of a Hundred Spires, is a part of the UNESCO heritage and one of the most beautiful cities in the world. The Global Goals World Cup final will take place at the iconic location of the Czech capital city. Wenceslas Square is one of the main city squares and the centre of the business and cultural communities of Prague. For one afternoon, the entire lower part of Wenceslas Square will come to life with global goals and for a better world. In addition to the tournament there will be accompanying program including live streaming debates on selected sustainability themes. The space for players and inspiration on sustainability for public will be prepared in IKEA Point. Get directions to Wenceslas Square, 110 00 Praha 1 on Google Maps. More information on Facebook Event HERE. After each game 1 point is awarded for the team that scores the most goals. In the case of a draw, each team gets ½ a point. We truly believe in the power of expression. We reward all the creative power you have and bring to the field: uniforms, songs, dances, chants, flags, sustainable banners... Whatever way you want to express your goal and share the message, bring it on. The Global Goals is everyone's and deserves to have the world’s biggest fan club. Engage the crowd and have them assist you in raising your unique voice for the Goal you play for. Look at the 17 Global Goals, which one spark the activist in you? They are all equally important, and we reward actions for all 17 Global Goals. In order to score this point - make sure to speak up about what you do and let us know by using the #GGWCup what you are doing. This way we will know to reward your actions and you will inspire others too. Global Goals World Cup Ambassador is Danish actor Nikolaj Coster-Waldau, known as Jamie Lannister from the popular series Game of Thrones. “My main mission as UNDP Goodwill Ambassador will be to raise awareness and support for the Global Goals for a better future for all, which cannot be achieved without empowering women and protecting our planet”. The ambassadors of the Prague tournament is Barbora Votikova, goalkeeper of SK Slavia Praha and Czech football team, and Fabiana Bytygi, world boxing champion. Watch this video to get inspired by some of the teams who played in the GGWCup New York 2018 tournament. Tell us your story about why you want to play and take action for this goal. For inspiration of actions and style, please check out all the previous teams. And remember, this tournament is all about being a more responsible human. Read more about the point system here. The Association of Social Responsibility is the largest initiative of corporate social responsibility (CSR) and UN Sustainable Development Goals (SDGs) in Czechia. Within its unique vision, and with more than 270 members, the Association brings together involved parties and it links organizations from the corporate, non-profit, educational, and public sectors to increase their CSR and sustainable business potential and abilities. Since 2016, A-CSR has been the national ambassador of a major global event Giving Tuesday and as such, the Association has contributed to the culture of donation in Czechia. Since 2017, the Association has been organizing the prestigious SDGs Awards that are a unique way of recognition of fulfilling the UN SDGs in Czechia. In cooperation with its members, the Association brings to Czechia other global initiatives such as Plogging Czechia, an eco-friendly activity combining jogging with picking up litter. As the national partner of the United Nations Global Compact, A-CSR helps to bring to Czechia the global and unique know-how of this world’s largest sustainable business platform within the United Nations. Read more about the Association of Social Responsibility here. The Global Goals World Cup in Prague is a part of the third year of the SDGs Awards, prestigious awards organised by the Association of Social Responsibility with support of the Ministry of the Environment, the Ministry of Foreign Affairs and the Ministry of the Regional Development of the Czech Republic. The SDGs Awards are annually given to companies, NGOs and public institutions which are pioneers of sustainability in Czechia. The winners are acknowledged for incorporating the idea of sustainable development into their strategies and thus helping Czechia and the international community to attain a more sustainable future. The SDGs Awards will be held on May 30, 2019 at the Czernin Palace at the Ministry of Foreign Affairs. The Global Goals World Cup Prague is part of the European Sustainable Development Week. 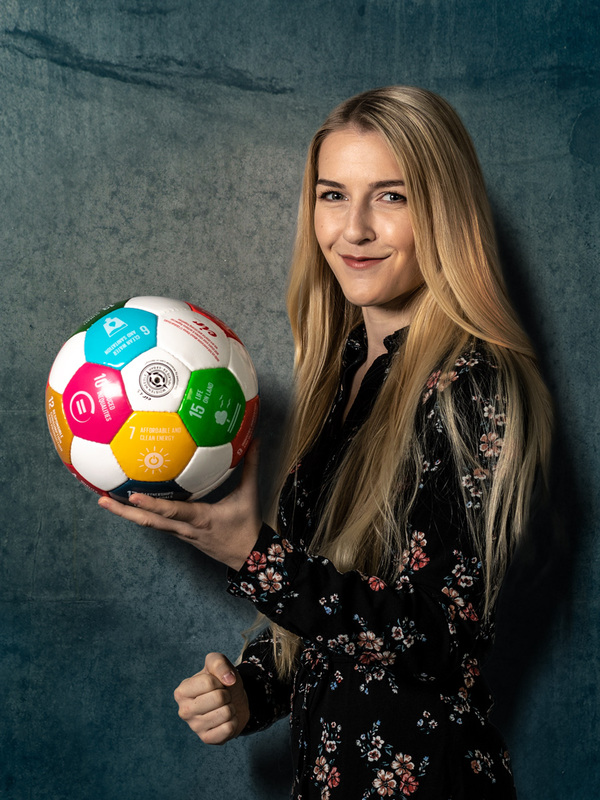 The Global Goals World Cup is the initiative of Danish non-profit sports organisation Eir Soccer. Eir Soccer works locally with important partners across different sectors to combine global scale with a strong local impact. The tournament is a global women's amateur football championship for the SDGs. The Association of Social Responsibility is the regional partner of Eir Soccer, and it is organizing the GGWCup Prague. 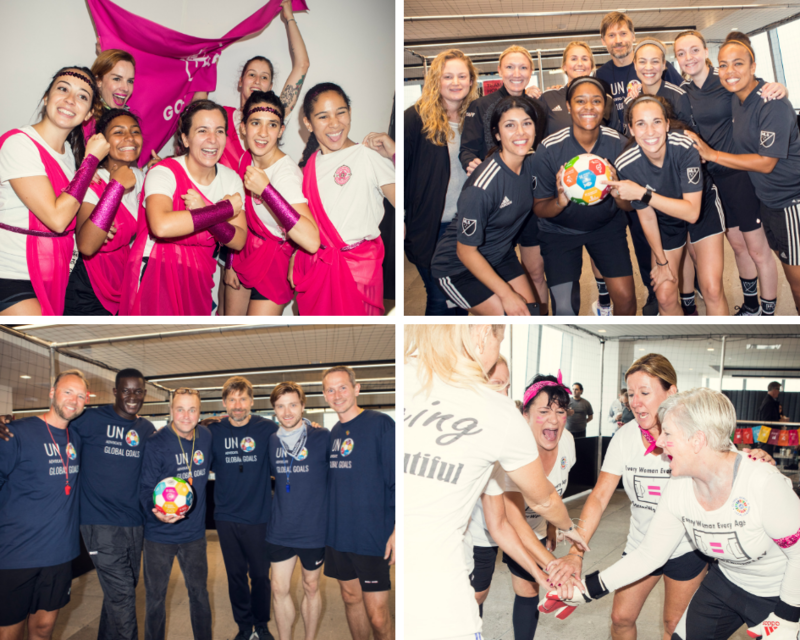 The Global Goals World Cup Prague is organized in local partnership with the Embassy of Denmark in Prague, the City of Prague, IKEA, Plzensky Prazdroj, Junak – Czech Scouting and Unilever, as a part of SDGs Awards 2019. The media partners are Czech News Agency and Forbes Czechia. If your company or organisation would like to be part of the event and join the power-team behind the Prague tournament, we are always looking for partners and sponsors to help us build a spectacular event and strengthen our connection to the local community. For more information on the possibilities to get involved, do not hesitate to contact Karolina from the Association of Social Responsibility: tesarek@a-csr.cz. For press materials, please contact Magdalena from the Association of Social Responsibility: martinkova@a-csr.cz.